NTU Progression is a free programme of opportunities designed to help students in Years 10 -13 access and succeed at university. You can start the scheme in Year 10 or Year 12. You might be unsure what university is actually like, or whether it's for you or how to prepare the best possible university application. NTU Progression will help answer all these questions, and equip you with the confidence and skills you need to be a successful university student. As a NTU Progression member you'll be invited to a series of events, workshops, and one-to-one sessions that will help you with a range of skills – from work experience, cultural trips, UCAS statement assistance and mentoring. support to help you improve your grades at school. Are you ready to explore your future? NTU Progression is a free programme of opportunities designed to help students in Years 10– 13 access and succeed at university. You might be unsure what university is actually like, or whether it’s for you or how to prepare the best possible university application. NTU Progression will help you answer all these questions, and equip you with the confidence and skills you need to be a successful university student. Applying to university might seem far away but now is a great time to explore what you would like to do once you have finished your GCSEs. We offer the following events throughout Year 10 and 11 to help you think about your future and where you want to be. To start, you’ll be invited along to an NTU Progression Welcome Evening to find what will be happening throughout the programme, meet other new members and join us for free food and games. Employability skills are becoming increasingly more important for young people entering the workplace so we want to help you have a competitive edge. You could spend a week working at NTU to get a taste of the world of work. We have placements all over the University in 30 different areas, including opportunities linked to animals, business, sport, fashion and many more. Our team will be offering guidance about your GSCE exams and how these can affect your future. This provides an opportunity for you to look into what you might want to do in the future, and how can we can help you achieve it. 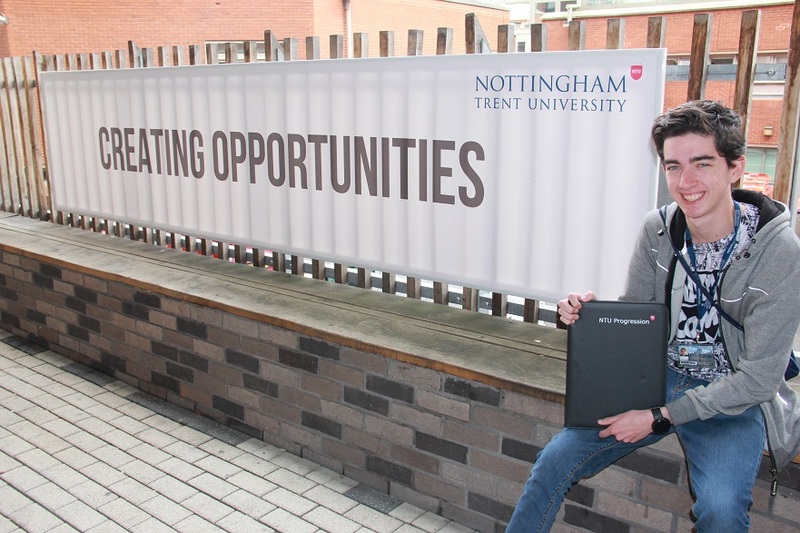 University is not just about work, and neither is NTU Progression. You’ll also have the opportunity to meet other NTU Progression members at social events that are held at the University and around Nottingham. Options in the past have included horse riding, rock climbing and the theatre – we love trying out new things! If you have any questions, have any difficulties in completing this application form or require it in an alternative format please email NTU Progression or telephone Patrice on +44 (0)115 848 2817 or +44 (0)7833 046 465. After completion, we encourage you to continue with NTU Progression into Years 12 and 13.